Natyley is an idea girl from Linden, New Jersey who has hopes to someday save the world. For right now, though, she works for the nonprofit organization she founded called All Smiles, which aims to put smiles on everyone around the world. The 15-year-old is also involved in many other things, so read on to learn more about Natyley and her ideas! I am a model, actress, singer, dancer, event host, and Miss American Star's Miss New Jersey Teen. Alongside that, I am an ambassador for Supergirlzland and a few different clothing lines/movements. My favorite hobbies besides that are reading and writing. My ultimate dream job is winning Miss Universe or Miss DR USA, being signed to modeling agency, coming out with an album, and having All Smiles contribute to the whole world. All Smiles is a nonprofit organization who strives to put grins on people worldwide. I came up with my idea after doing a toy drive for children with cancer in Santiago, Dominican Republic. Some challenges that I have faced is making the idea happen and getting support from others. 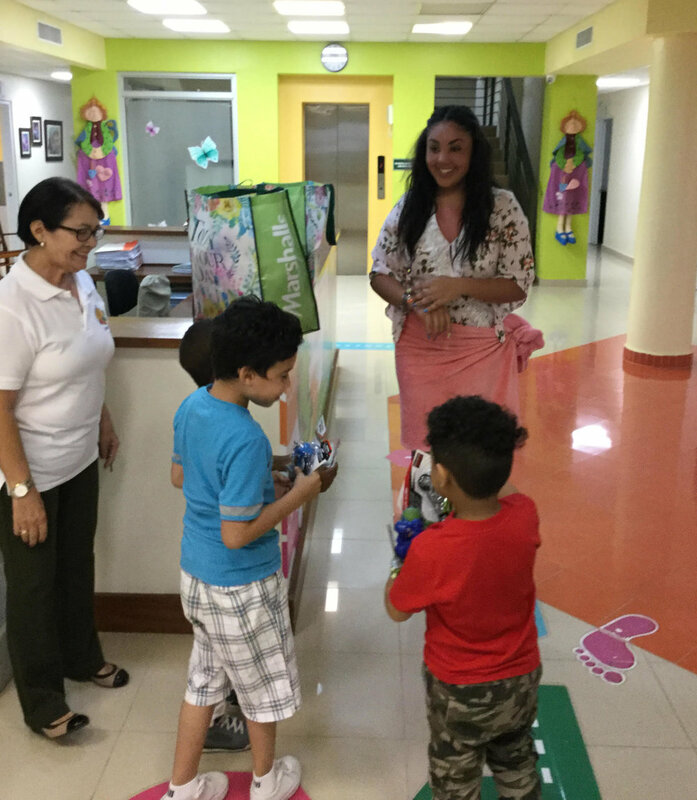 Some of the good things that have happened since I started my idea was that I was able to send toys to children with cancer in my family's hometown of Santiago, Dominican Republic. I was also able to fly there and give the toys to the kid myself which was an amazing but heartbreaking experience. I've been able to help people in the New Jersey area as well. For my idea I still need more support just about events, donations & getting the word out. To all the younger girls, make sure you get your parents on board and just go for it! 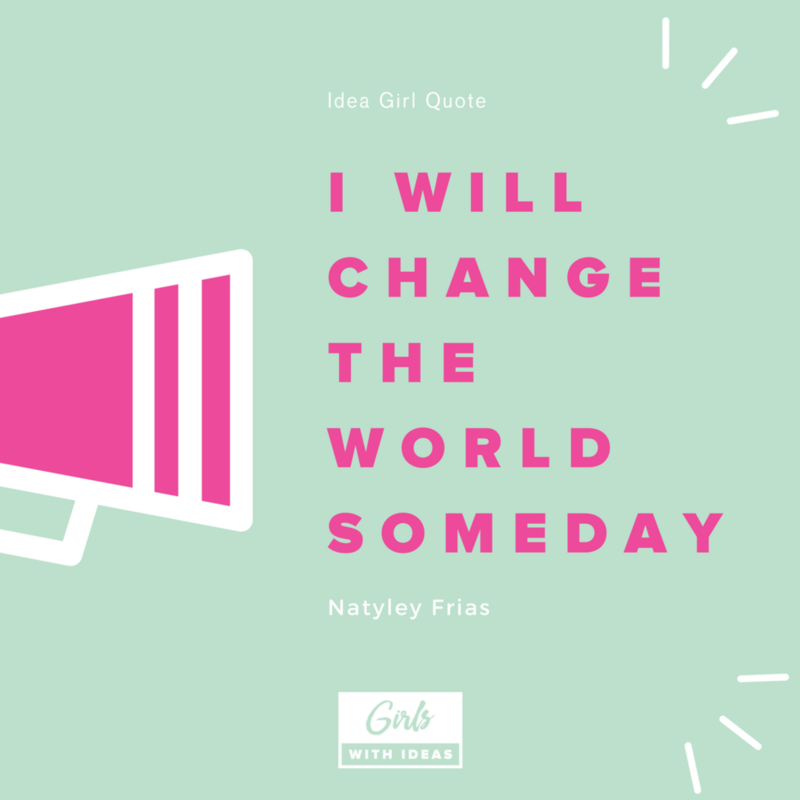 I have a lot of favorite quotes/mantras but right now it's: "I am Natyely Frias and I will change the world someday." If you know a girl with a story like Natyley's, nominate her to be our next featured idea girl!